My newsletter readers come up with some of the best gift ideas for people who seem to have everything, like this one for emergency kits. On the West Coast we’re all aware that The Big One may hit any moment, but it’s also true that most of us blithely ignore earthquake preparedness. So one reader says that her gift for those who already seem to have everything is a little bit of insurance so they can keep it. Part of emergency planning is knowing how you will reconnect with friends and family after a disaster. So this writer includes phone numbers for who to meet, where, and who to check-in with outside of the disaster zone. And this is a really thoughtful touch: she also keeps track of the gifts and updates the food and water as it expires. The conversation began as my phone conversations with one particular friend often do: with no preamble. What earrings? Which duchess? And since when are duchesses thrifty….? It turns out my sharp-eyed pal had spotted something that might be surprising to anyone who has never owned pearl drops. The former Kate Middleton has been wearing a pair of beautiful white baroque pearls to every kind of event for years now. The same earrings, over and over again, despite the fact her husband is in line for the throne. Maybe that’s a sign of thrift? Or maybe it’s because they’re so flattering and go with absolutely everything that they’ve become her go-to earrings. Pearl drops are ageless and timeless so it’s not unusual to have a pair in your wardrobe for life. They’re lovely on everyone from a 70something Helen Mirren to a teenage Taylor Swift. A rope of freshwater pearls may well be worth a king’s ransom, but just two high quality complexion-flattering pearls won’t break the bank. 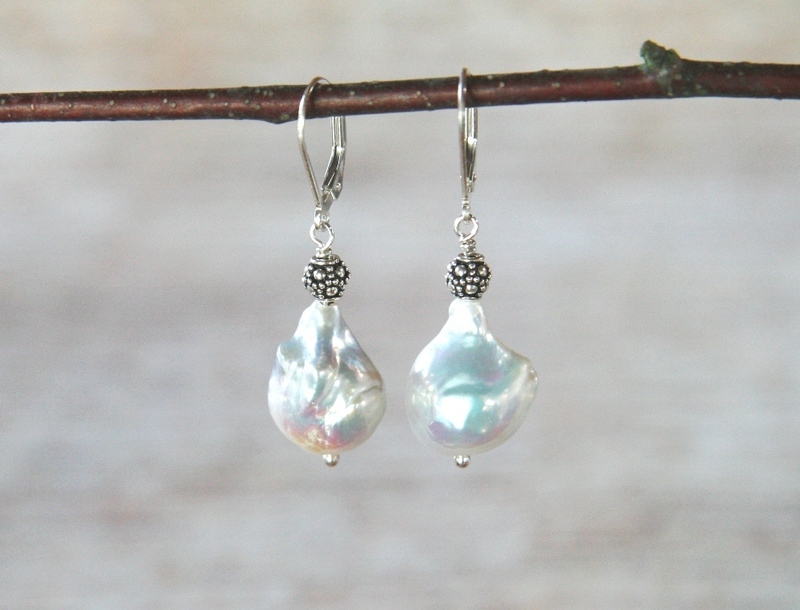 Which also makes pearl drop earrings a perfect gift. I will have a fair selection of what I now think of as the Thrifty Duchess Earrings, in different shades and sizes, at my upcoming Dec 8-10 trunk show, with prices beginning at $60. Friday, Dec. 8 — 4 p.m. to 7 p.m.
Saturday, Dec. 9 — 11 a.m. to 5 p.m.
Sunday, Dec. 10 — 11 a.m. to 5 p.m.
At this time of year I know that many of my pieces are destined to be grad gifts but one of my favourite commissions was a request from a mom for a group grad gift. Her daughter ran with a posse of five girls who had all been friends since elementary school. The Five Musketeers were due to split up after high school, leaving for different universities, travelling, and work, and they wanted a memento of their time together. Tattoos were not out of the question. Mom wanted to forestall that, too. Jewellery has always been used as a talisman, so she thought matching earrings would be just the thing to remind the girls of their friends as well as marking their entry into adult life. 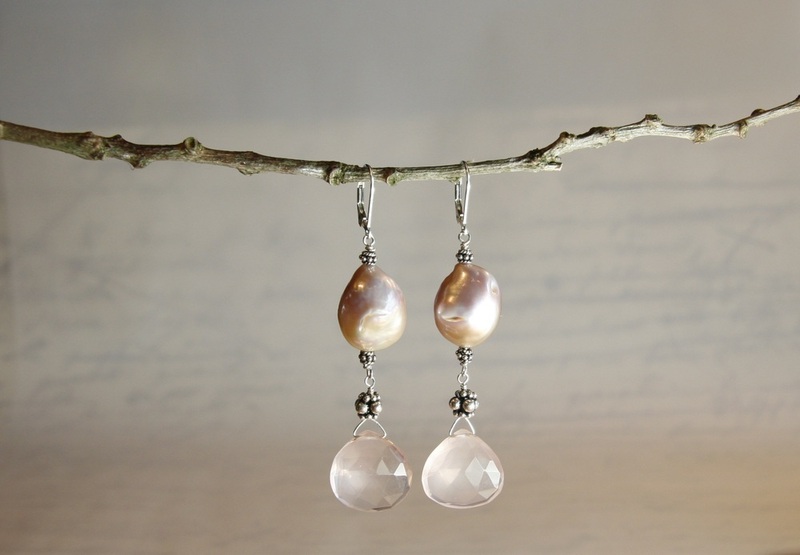 So I made a jewellery wardrobe staple for these young women: pearl drop earrings. 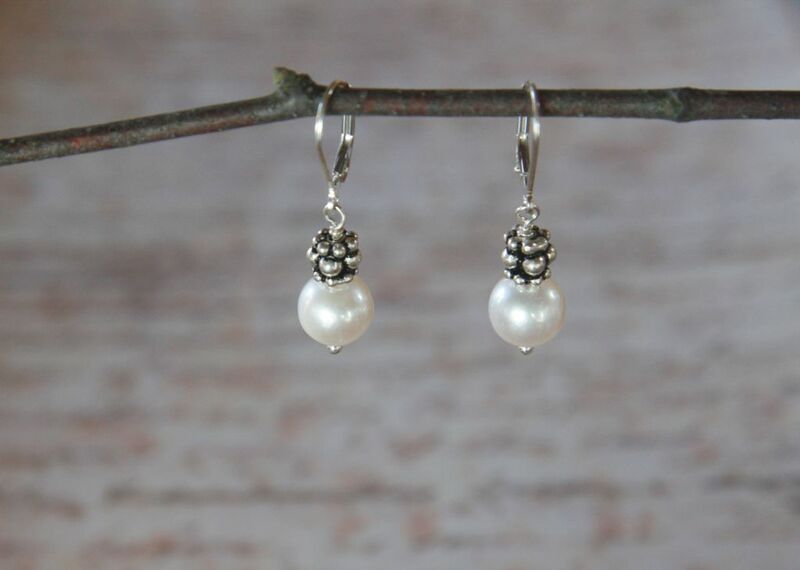 Classic, creamy pearls with a silver bead. 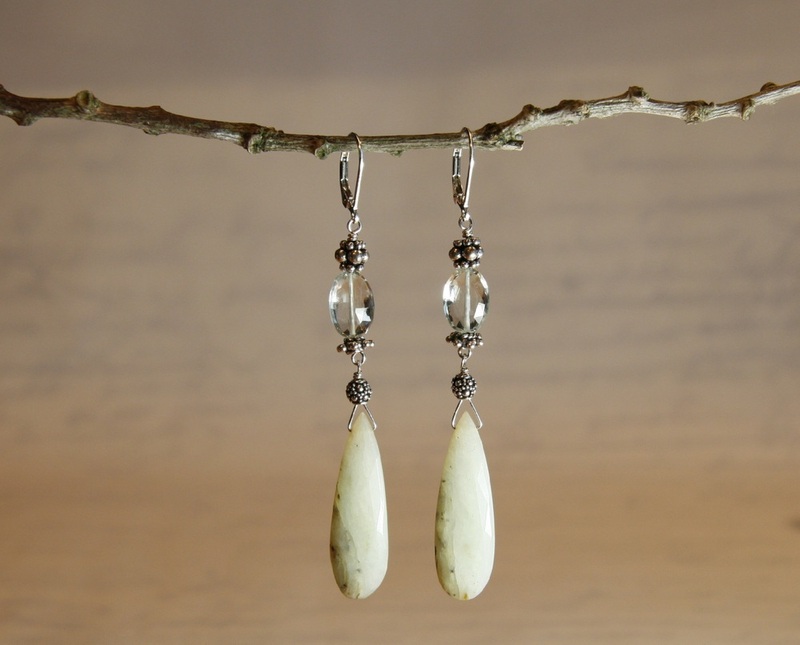 I do endless variations on this earring, in different shades of pearls, since it has always been one of my bestsellers. They suit everyone, go with everything, and aren’t so big that they get in the way of using the phone. Still, they’re eye-catching; substantial enough to wear in the evenings but delicate enough for someone young. 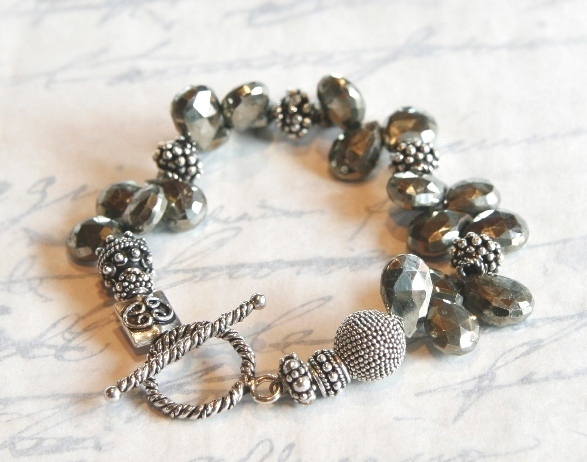 And they’re affordable, with prices beginning at $55 depending on the size of the pearls and the silver beads. 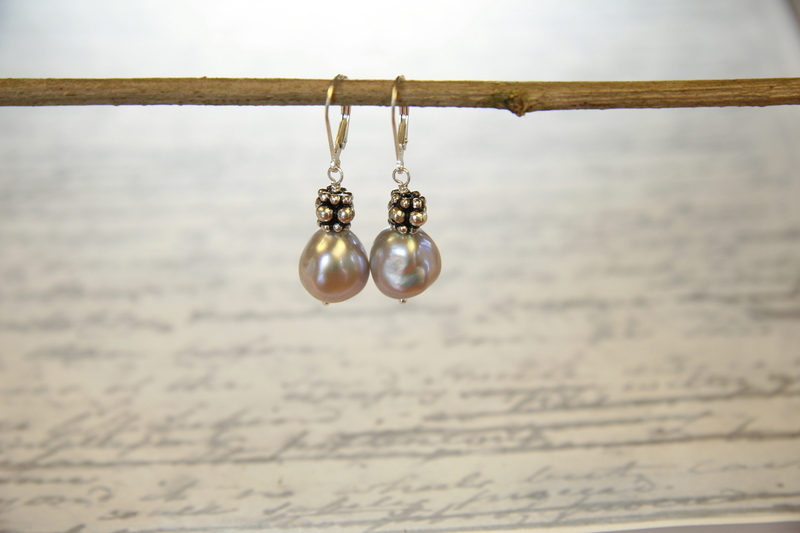 White baroque pearls have an interesting shape that’s a nice alternative to classic rounds. But perhaps the loveliest thing about them is that real freshwater pearls and high quality sterling silver will last forever. 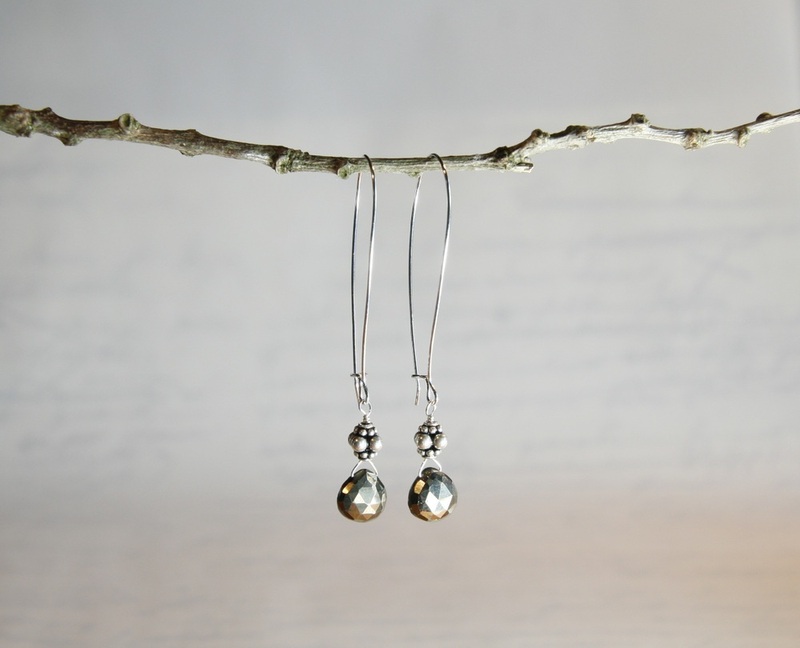 Pearl drop earrings are timeless, which means these young women will still have those sentimental earrings in their jewellery boxes 50 years from now. And a bonus: 50 years from now, pearls and silver will look way, way better than a tattoo. My pearl drops range in price from $30 to $160 a pair, depending on the size and rarity of the freshwater pearls and the silver beads. You’ll find lots of these in the shop, but if you’re interested in a group gift let me know, so I can make sure I have enough matched pearls. 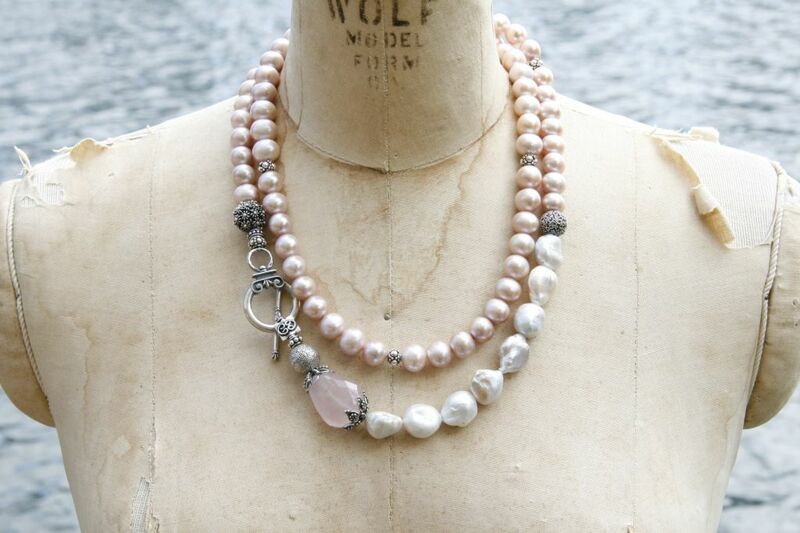 Blush baroque pearls and sterling silver accent beads. 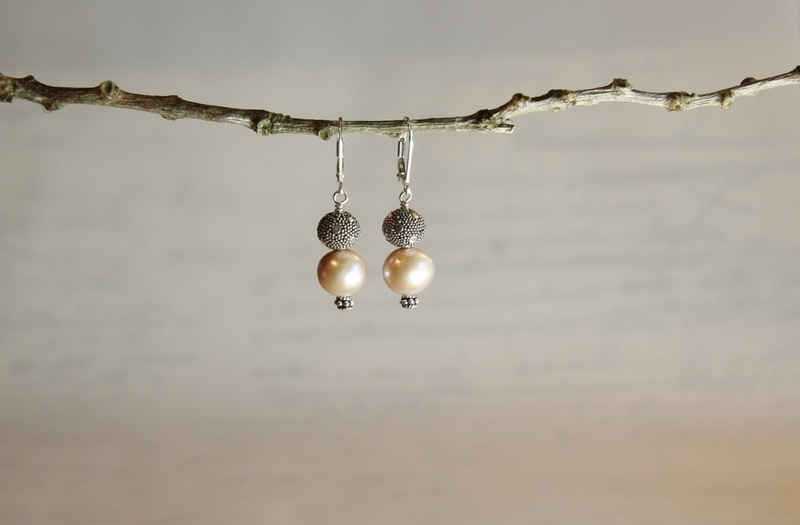 You can find more pearl earrings in the shop or if you have something specific in mind, contact me and I’ll create some pearl earrings just for you. Jewellery has always been used to celebrate love. From a baby’s first silver locket, to a good engraved watch, to wedding rings, these pieces aren’t just pretty decorations, they’re a reminder of those we love. 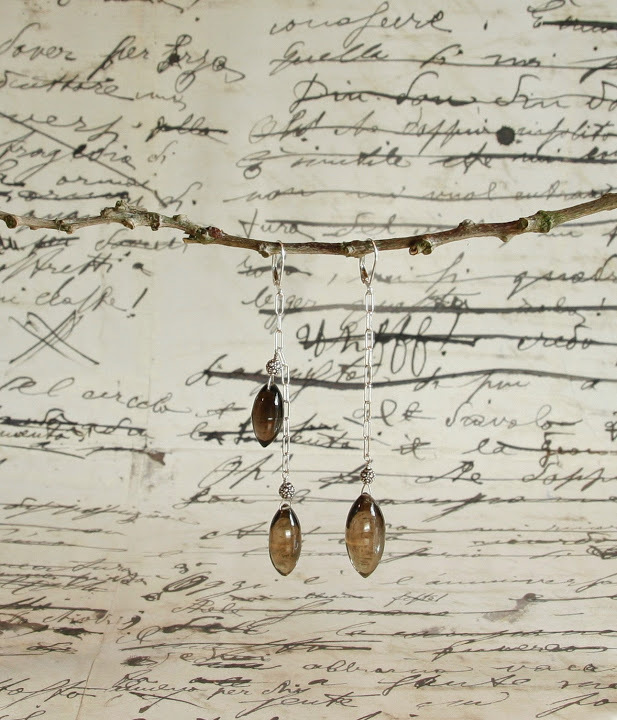 Gifts of jewellery often become a sort of talisman that helps keep us connected to our loved ones. May 10 is Mothers Day — the perfect time to give an enduring symbol of love. 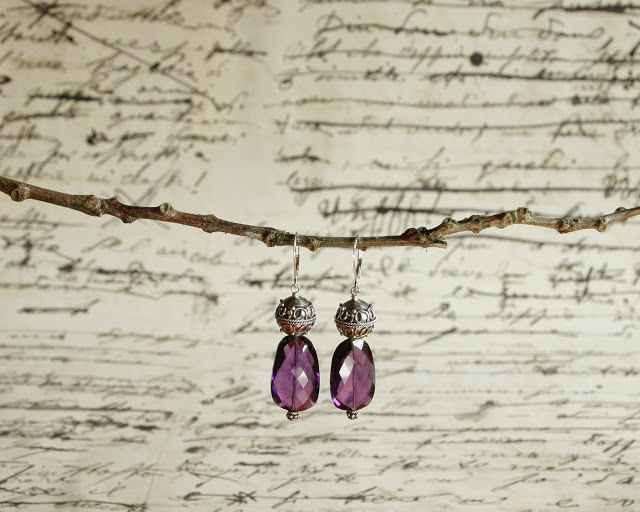 A pearl necklace or some amethyst earrings last forever, and will become a regular reminder of what your mom means to you and a family heirloom for generations to come. 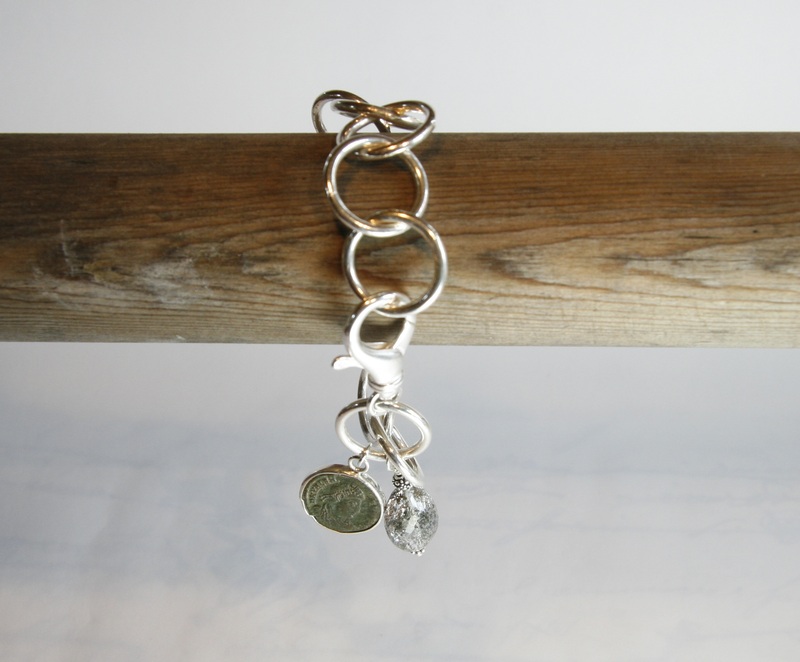 Shop AnneCarsonDesign.com to see a full range of pieces. Much of my work is limited edition and many pieces are one-of-a-kind, so I can’t guarantee you’ll find the pieces you see here. But you may well find something you like even better. I hope you have a lovely Mothers Day. 2 p.m – 7 p.m.
You know you won’t feel like working on a Friday afternoon… So come by for wine and nibbles and to have a look at what I’ve been up to for the last four months. 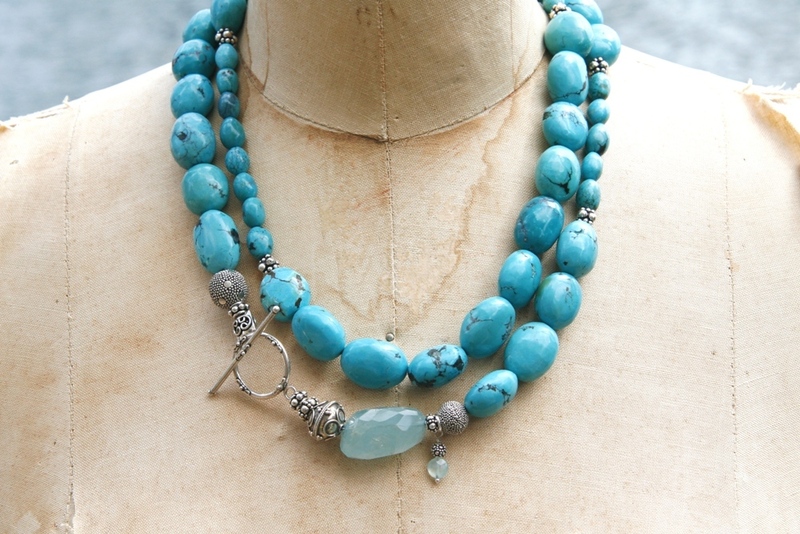 Lots of aquamarine and turquoise pieces, and other stones in spring’s fashionable blue and green shades, as well as lots of pearls in a range of colours. And I have plenty of silver chains in different sizes and weights. Those big, bold links are the ideal statement necklaces in summer – eye-catching, without adding a lot of weight. They give a dressed look to even the lightest linen shift or a bare summer frock. A few of my new creations have found their way to the online shop. But most of the one-of-a-kind pieces will at the show. Thanks for visiting my blog! In honour of the holidays I’ve expanded my online shop to include more earrings, which are everyone’s favourite easy-to-buy gift. They start at $55. I do a limited number of public trunk shows during the year, since many of my one-of-a-kind designs find their owners via my newsletter. If you’re interested in getting a first look at those unique pieces, you can sign up for the newsletter here. 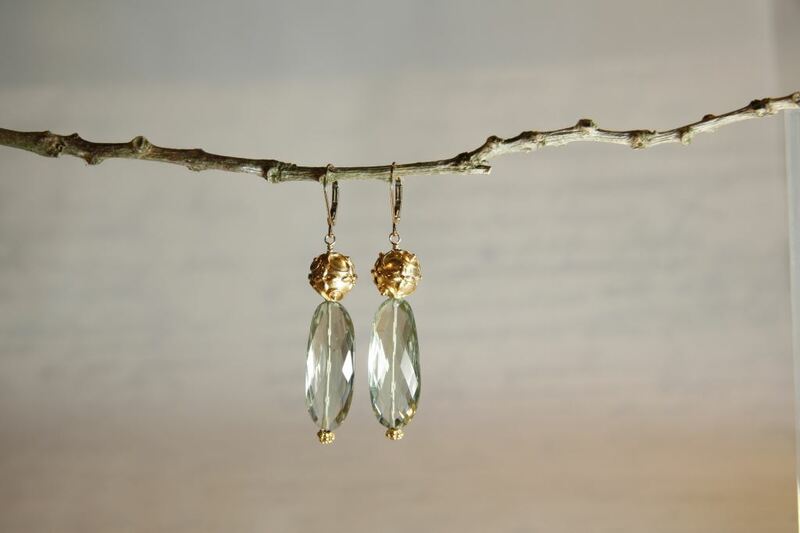 For those of you in need of inspiration, here is one of my bestselling gift earrings for $60. 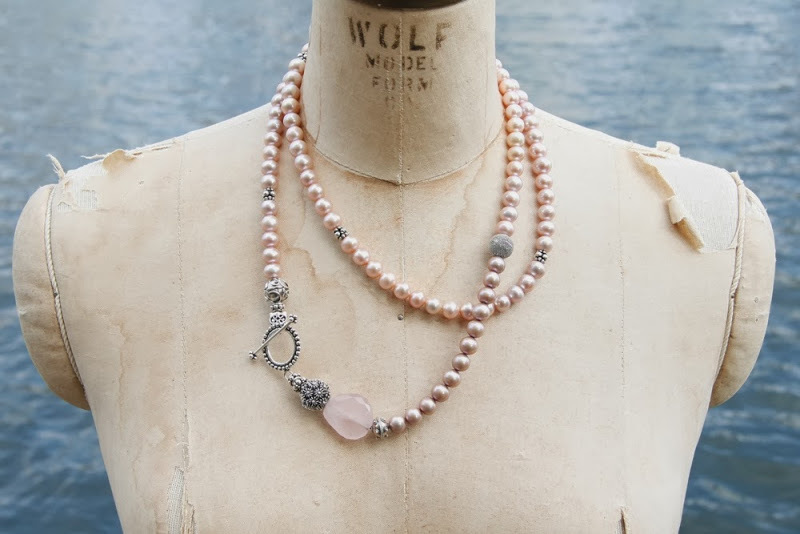 Classic pearl drops, mixed with silver beads, in a blush pink that flatters every complexion. They’re the go-to earring: they go everywhere, with everything. You’ll find them here. If you can’t make the shows, you can always find a good selection of pieces at my online shop. Or you can peruse my portfolio on Pinterest. 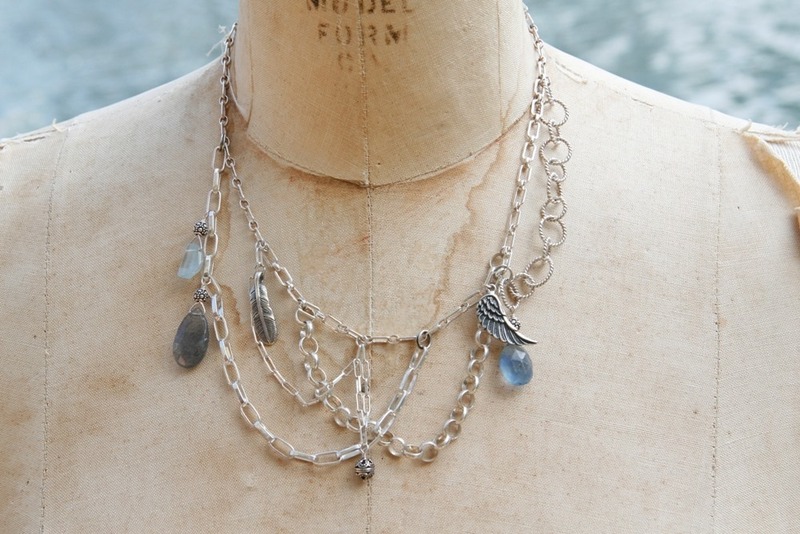 While some pieces may be sold out, I can often make something comparable with whatever stones are currently available. The newsletter is still the best way to hear about new pieces, one-of-a-kind designs, and other specials; you can subscribe here. You can also find me on my Facebook page if that’s more convenient for you. I sometimes post new pieces there or on Twitter. 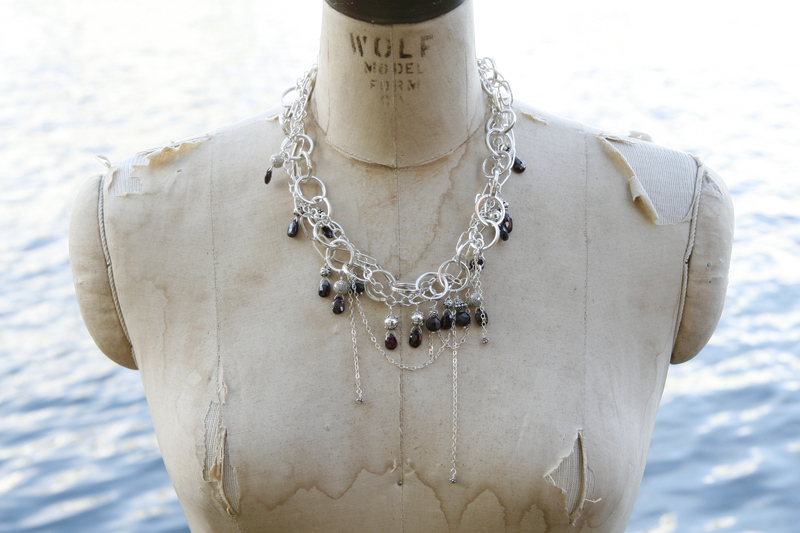 A modern look – unfaceted smokey quartz dangling from silver chains. They’re $125 and you can find them here. 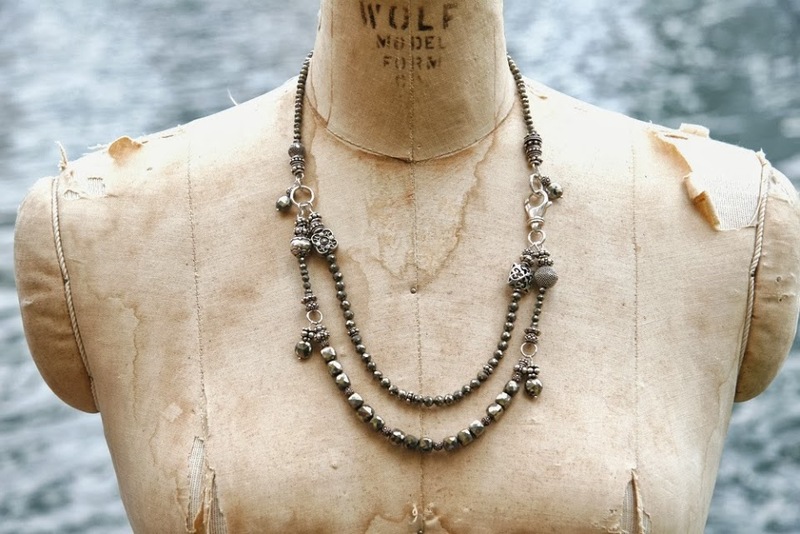 Pyrite hearts have a subtle, silvery gleam. $55 and you can find them here. And I hope you have a lovely Christmas. Learn about new items first! Sign up for our newsletter. We respect privacy and will never sell your address. Or you can follow us on Instagram, Twitter, Facebook and Pinterest.